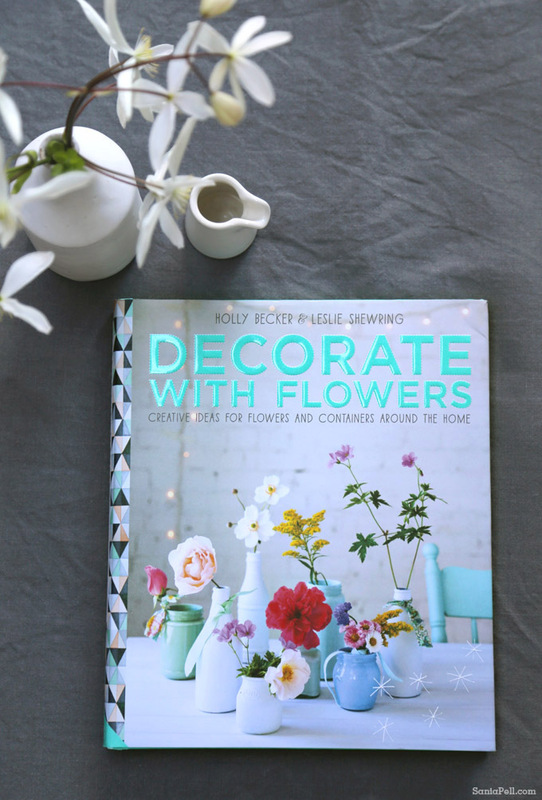 Today I’m featuring a new book written by friends Holly Becker and Leslie Shewring: Decorate with Flowers – creative ideas for Flowers and containers around the home, as part of the UK blog book tour. Books started my friendship with Holly four years ago after she wrote the sweetest review of my first book The Homemade Home and I emailed to thank her. We kept in touch and met for a drink a few months later when she was in London. 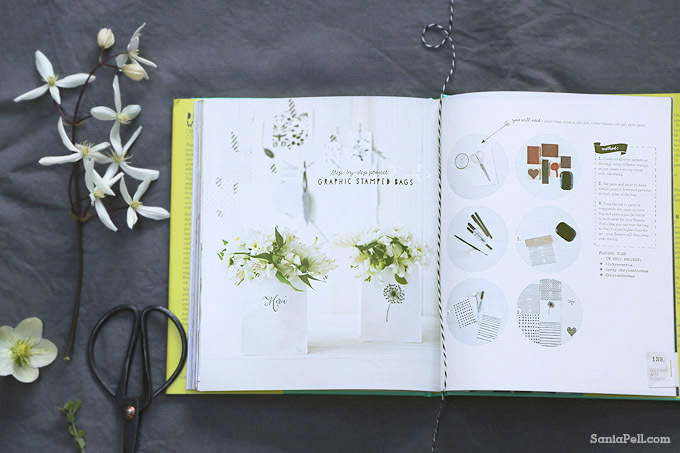 A year or so later I helped Holly with the London launch of her first book – Decorate. That is where I first met Leslie and we, and our respective husbands, had lots of fun for a few days in London – they are the ones who talked me into starting this blog! So as books have featured so importantly in connecting our lives it seems fitting to post about their lovely new book and congratulate Holly and Leslie on the fruits of their collaboration. 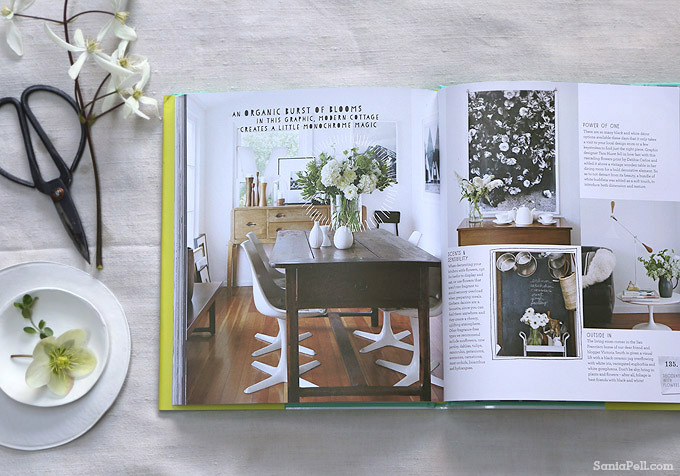 Decorate With Flowers is packed with images, ideas and useful information and tips to keep your home full of life and scent with the addition of flowers. 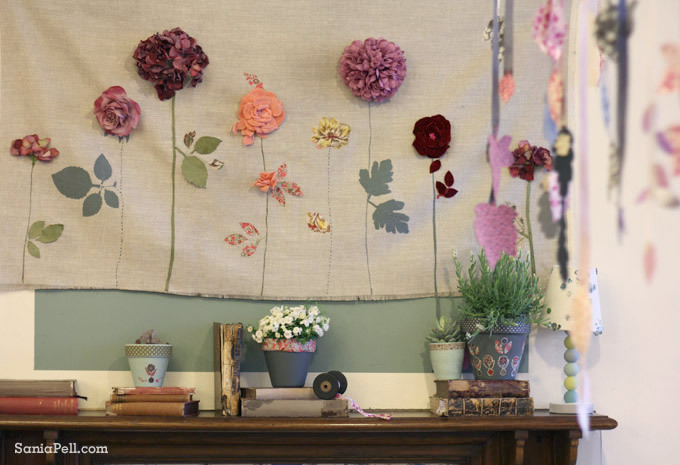 It really reflects Holly and Leslie’s personal styles and their love for flowers, craft and decorating – it is bright, light, fresh, colourful and pretty. 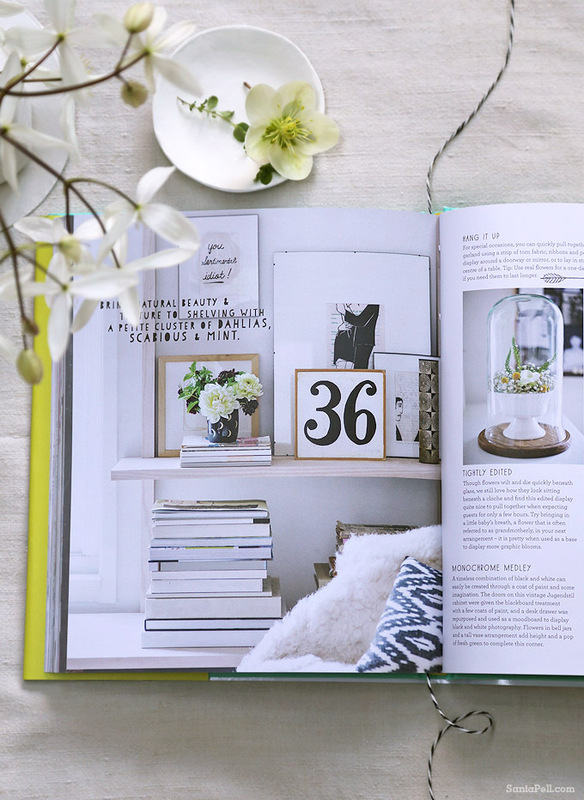 The book is divided into sections to suit different interior styles, such as happy brights, neutral pop and girly glam and has a craft section in each chapter showing you how to upcycle vessels for displaying flowers. There are pages showing you how to create large flower arrangements in easy-to-follow steps, so you too can create a large impressive centerpiece, but really what shows through is a love of flowers from both of them. They mix shop bought with sprigs snipped from the garden, showing you that you can bring flowers into any space with any budget. 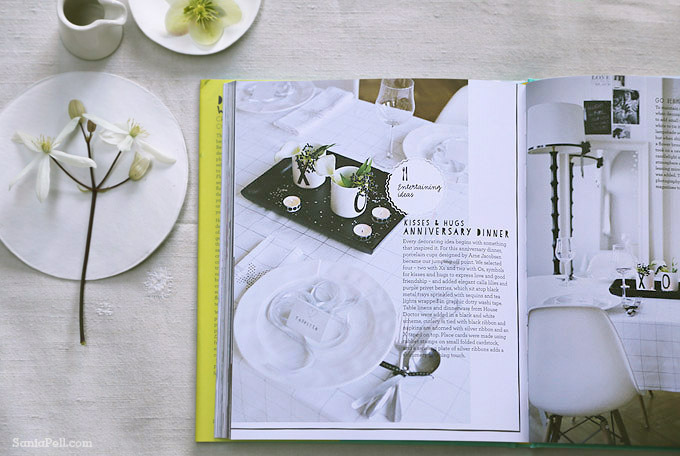 The book itself is also well designed on tactile, uncoated paper and there is always something new to grab your eye as you flick through. 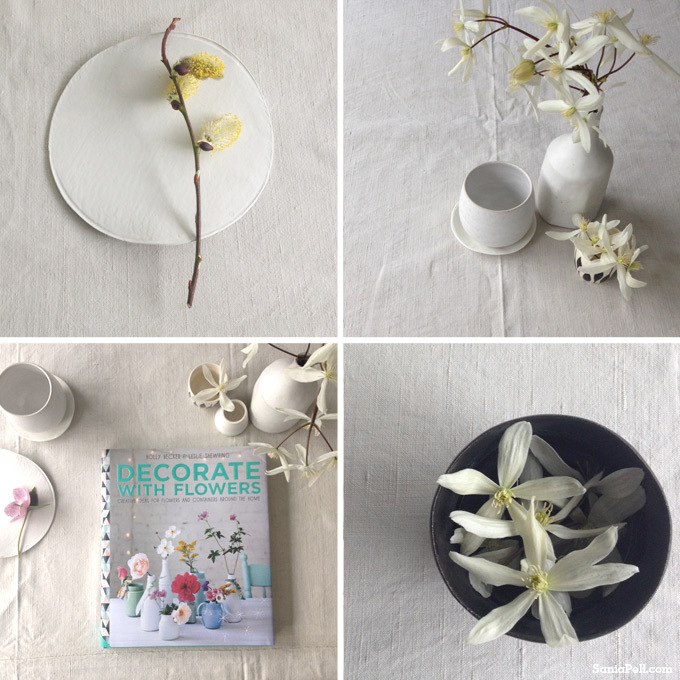 You can see lots of colourful photos and spreads from the book over on the Decorate With Flowers website. 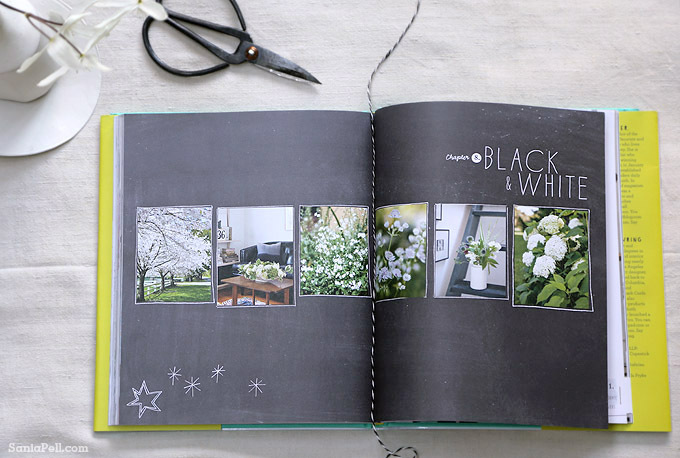 The chapter that appeals most to my own interior design aesthetic and the way I live, is chapter 8 – Black & White. I photographed some of the pages to show here. 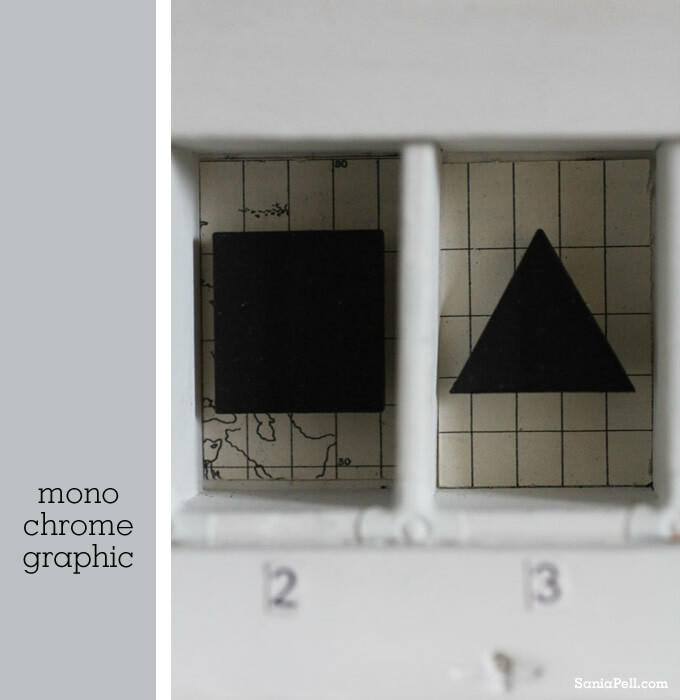 In this section Leslie and Holly present graphic and organic schemes influenced by Scandinavian style. Black and white interiors with flowers and foliage in whites and creams with greens and touches of yellow and deep purples. One of my favourite projects is the graphic stamped bags, seen above. After reading through the book I couldn’t help but nip outside to add a few cuttings from my own garden to my photos, all in the spirit of the book! 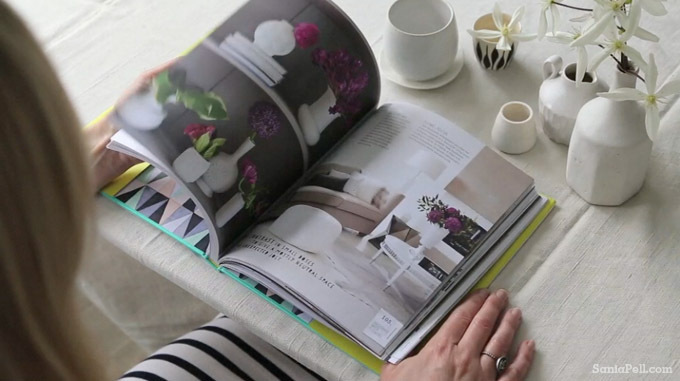 My husband helped me film a little flick-through video to give you a peek inside, although by coincidence my friend Caroline posted one on Tuesday but I thought I would share this one too as we had already filmed it. Click the settings cog to HD for better quality. 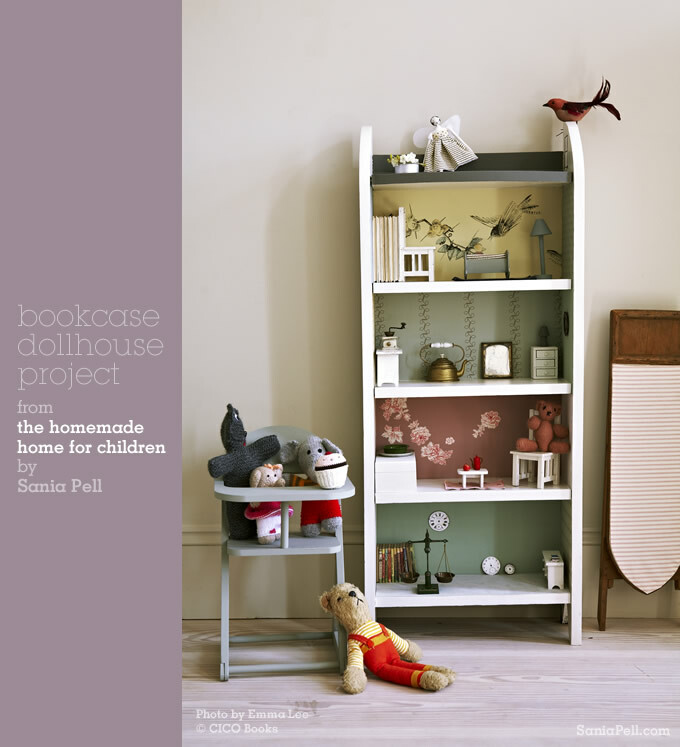 A huge amount of time, thought, love, work and energy goes into creating a book like this with so many photographs, ideas, projects and information and my congratulations go to Holly and Leslie for producing a lovely book they can be really proud of. 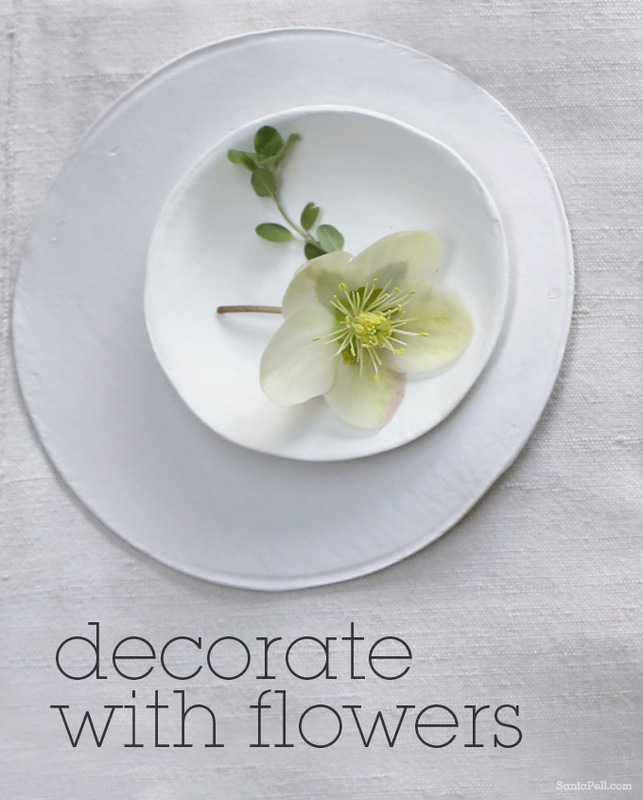 Decorate With Flowers is available from March 21st. You can order now at Amazon or for more details on where else, when and how to purchase, click here. 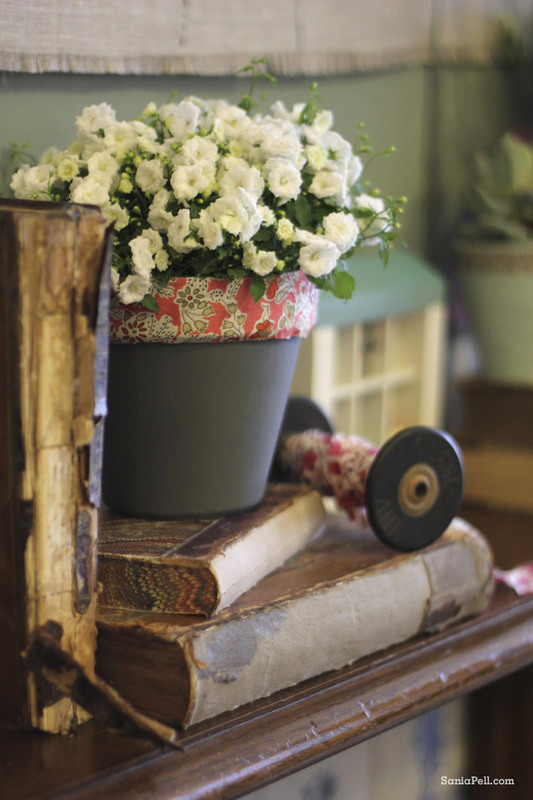 See more floral posts here. 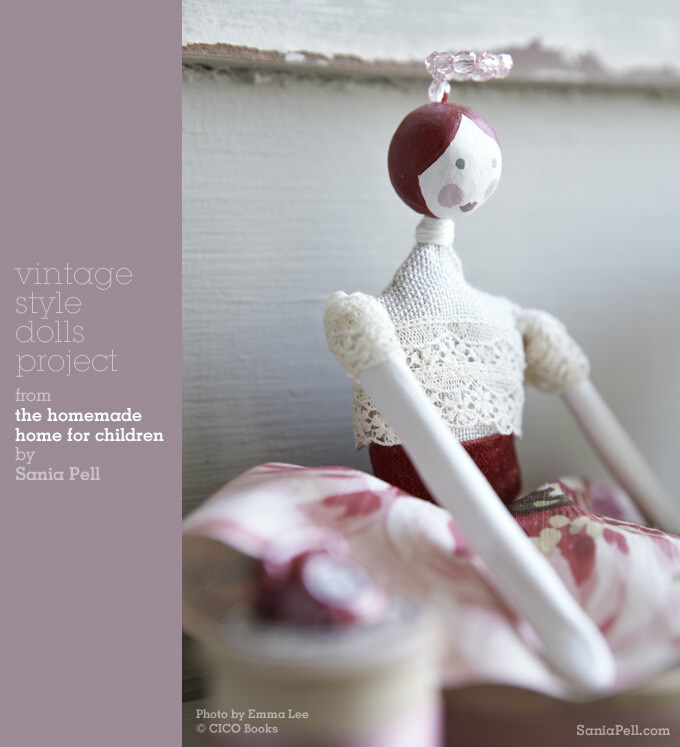 For some of the projects in my book The Homemade Home for Children, I made several variations but there just wasn’t space to show them all within the book. So I thought it would be interesting to show you some of the ones that we didn’t photograph for the book. 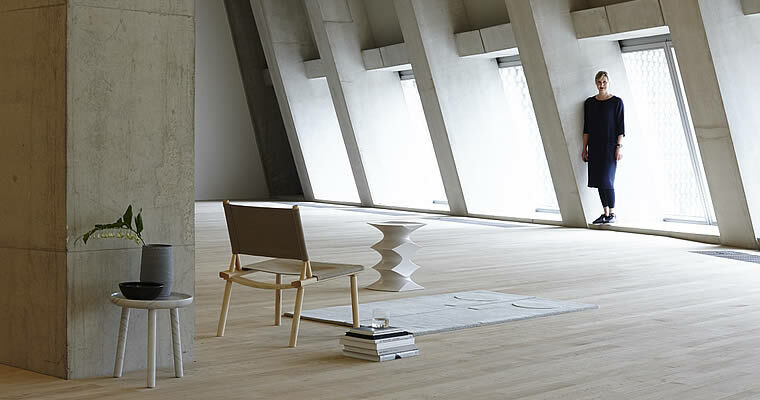 They are extensions of the projects, helping to show how the basic idea can be taken and interpreted in different ways to create unique items for your home. 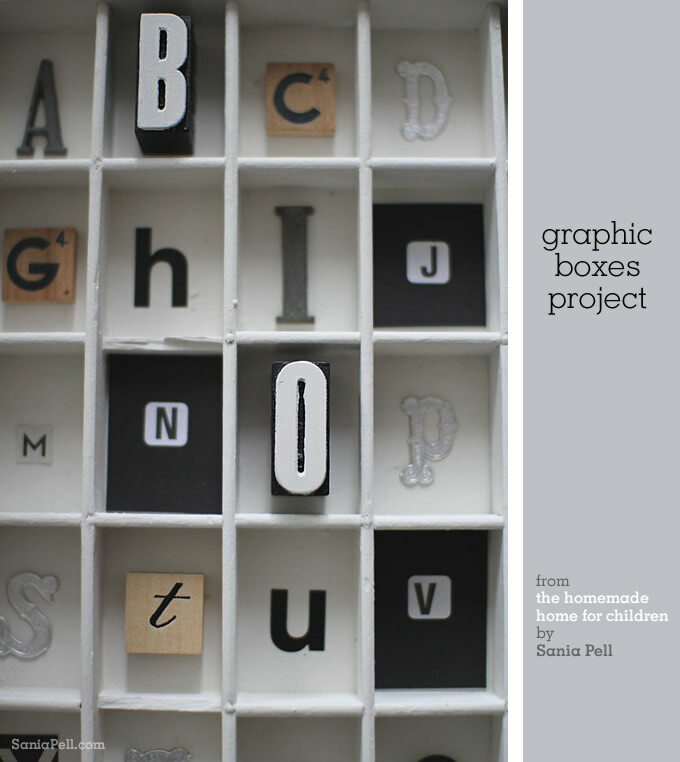 Shown here is a variation of the Graphic Box project on pages 158 and 159 of the book and even though it was meant for small children, I really like the monochrome graphic quality and modernist feel and would be happy to have it on display anywhere in my house. This version hasn’t been seen anywhere before so thought I would take some photos and share it on my blog. 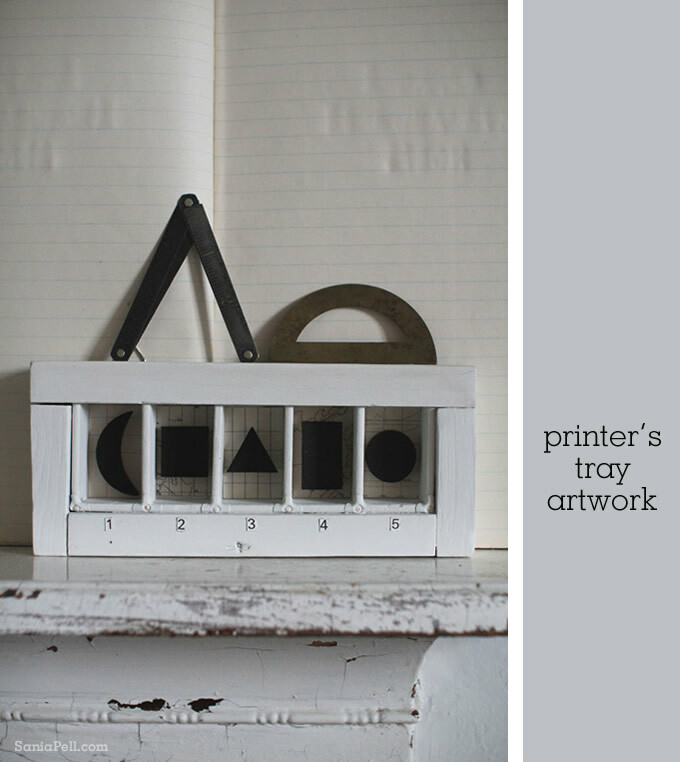 I had bought the old printer’s trays years ago from an antiques market in Greenwich, just because I liked it and thought I would use it at some point. 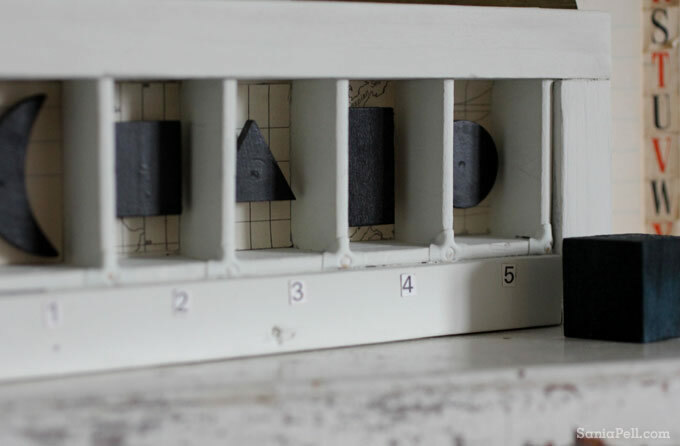 I painted it white, inset some vintage map graphics into the back of holes and painted some wooden pieces in different shapes, taken from an old children’s game, and stuck them in with sticky pads so they were raised away from the back. 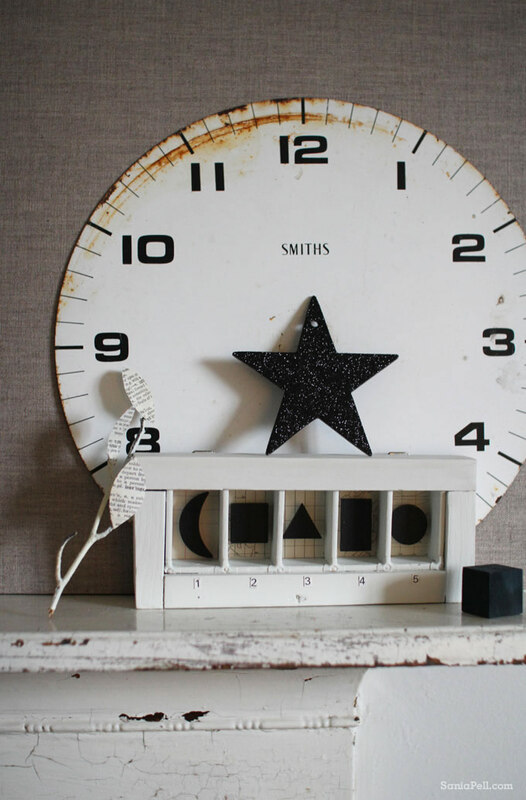 I painted it in the simple black and white colour scheme as babies react well to monochrome visuals. The large printer’s tray that features in the book was bought at my local car boot sale and I photographed this too below. 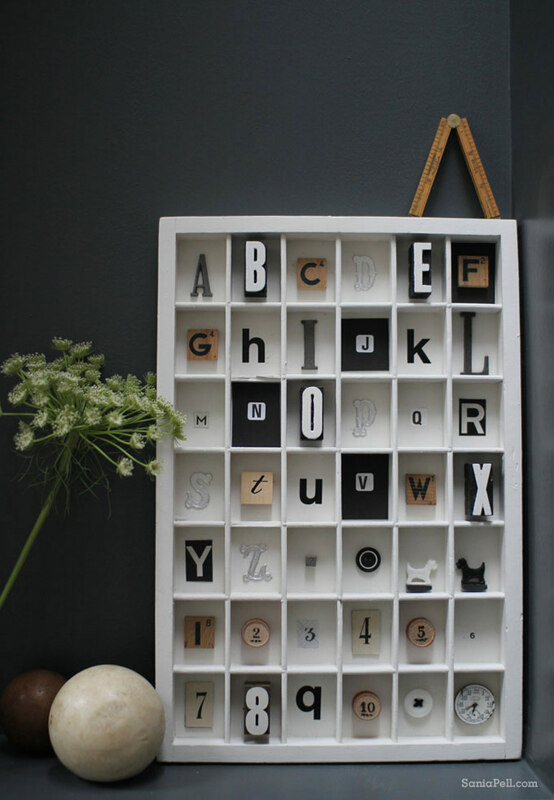 The idea for was to create teaching aids that you would be happy to have on the wall and keep for future generations. 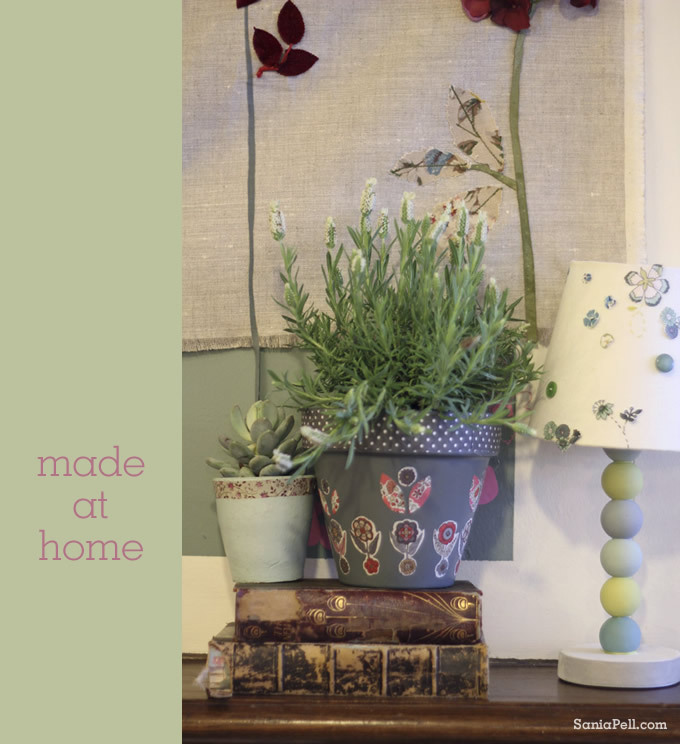 I also made one for colours which is shown in the book and there is also another version that looks like a little house in the introduction pages if you have a copy of the book to flick through. 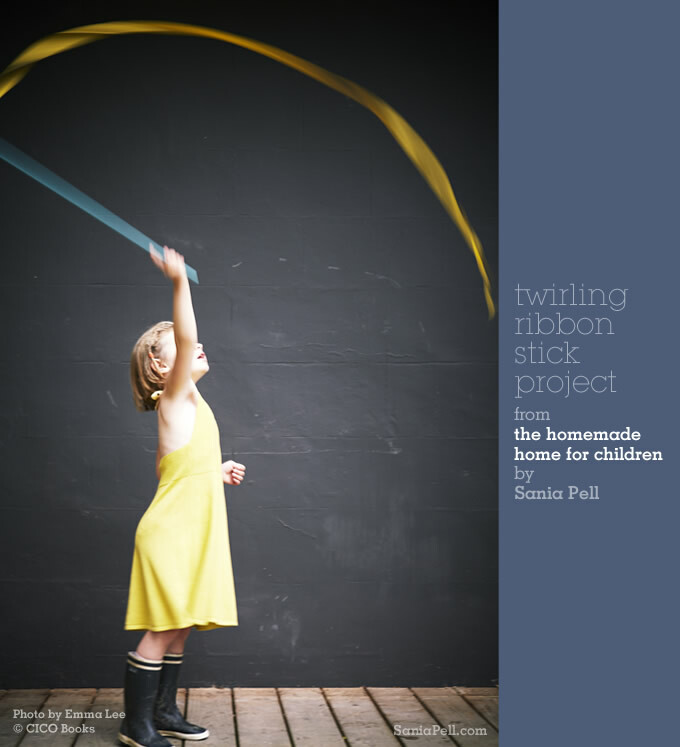 I wanted this project to show how you can make an attractive, unusual and unique item that will inspire children’s learning and look great hanging on the wall or placed on a shelf. I hope it succeeds. 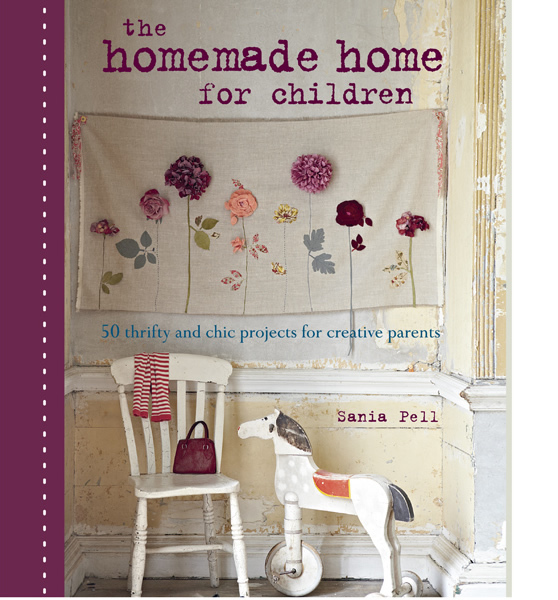 If you haven’t got a copy of the book you can see some examples of the type of projects I created here. I snapped a few pictures of some wooden planes and boats that are sitting on shelves and chests of drawers in my son’s bedroom. 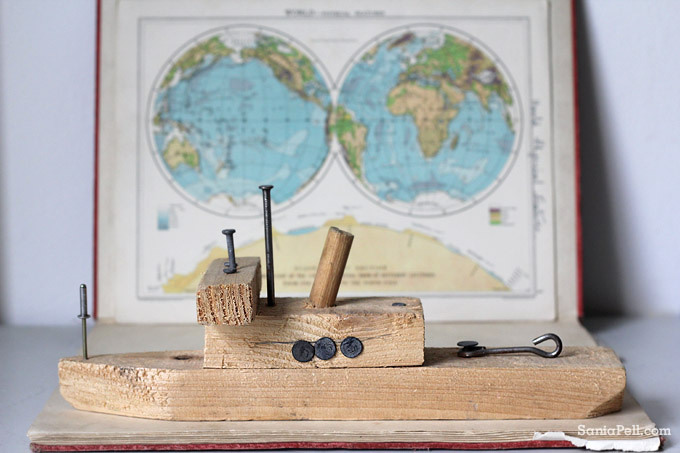 They are little objects my father made about twenty years ago, simply put together from scraps of wood and old nails from his toolbox. I painted them in bright colours and personalised them with initials and words with meaning, like ‘Riba’ which means ‘Fish’ in Croatian and was the name of my grandfather’s little boat that we pootled along the coast in. 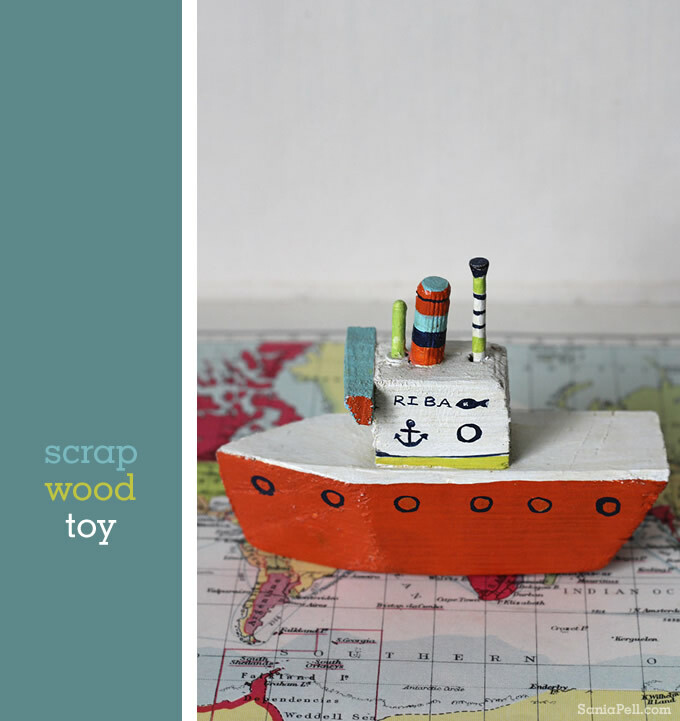 I left one of the boats as it was to show the natural texture of the wood and the simplicity of how it was made. My father and son still make driftwood toys together every summer in Croatia, see a previous post here. When my son was born we hunted out this little airplane and hung it in his bedroom, suspended by a splash of a neon ribbon. 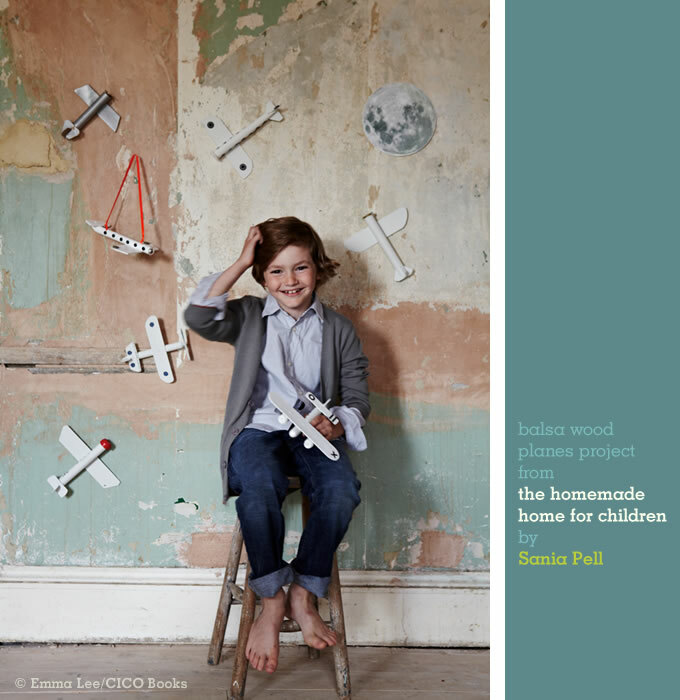 It was this plane that inspired the ‘Balsa Wood Planes’ project in my new book – The Homemade home for Children – which has full step-by-step instructions if you want to try making your own. The image below is by Emma Lee and is an out-take from the photo shoots for the book. It is my little boy as he is now, enjoying being part of the fun. 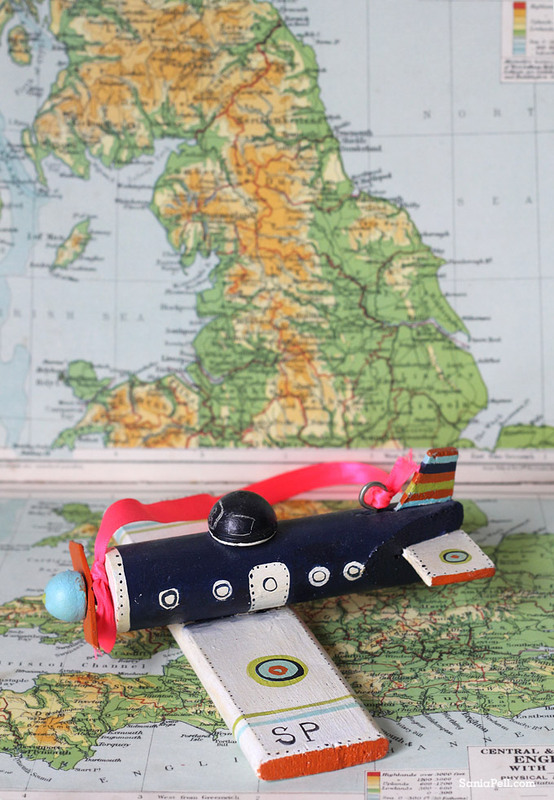 These homemade toys are so simple and cost nothing but a little time, and I treasure them because of that. They are things that cannot be bought, but made – with love and family. 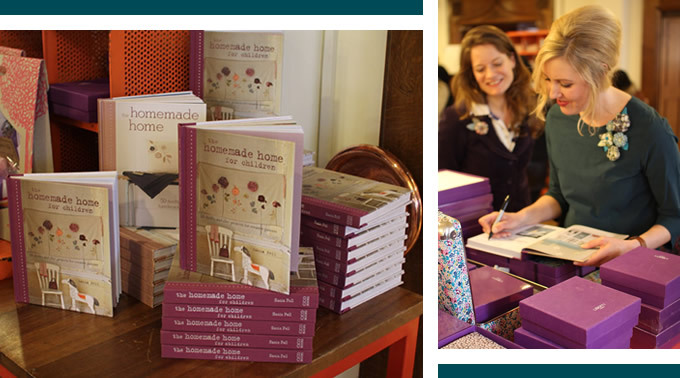 The book launch for The Homemade Home for Children at Liberty was a very special day for me and thank you to all who joined me to make it that way. 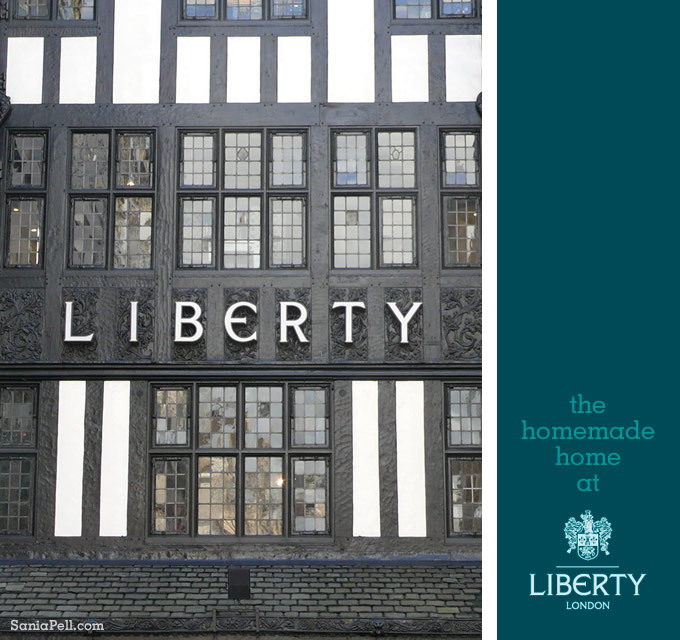 I know there were friends who would have loved to have been there but just couldn’t make it on the day, so I thought I would show you the details that helped to make my corner of Liberty so cosy, so you too can join in and feel as if you were there. I had two dusky green coloured trestle tables pushed together to create a making area on one side of the atrium on the 3rd floor, by the entrance to the Little Liberty children’s wear department. I brought some of the actual projects from the book along with some items I had made especially for the launch. 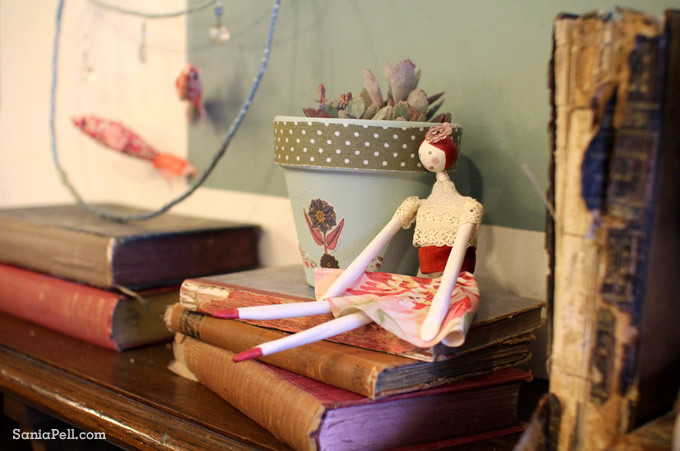 The Floral Wall Hanging project from the front cover of the book was hung above an original fireplace – the perfect place for it – and on the mantlepiece I added the Bowl of Goldfish Mobile project, one of the dolls I made for the Vintage-style Doll project, a variation of the Graphic Boxes project and also the Butterfly Table Lamp project. I made the flower pots especially for the event too. Above the trestle tables I hung an adaptation of the Enchanted Branch project. 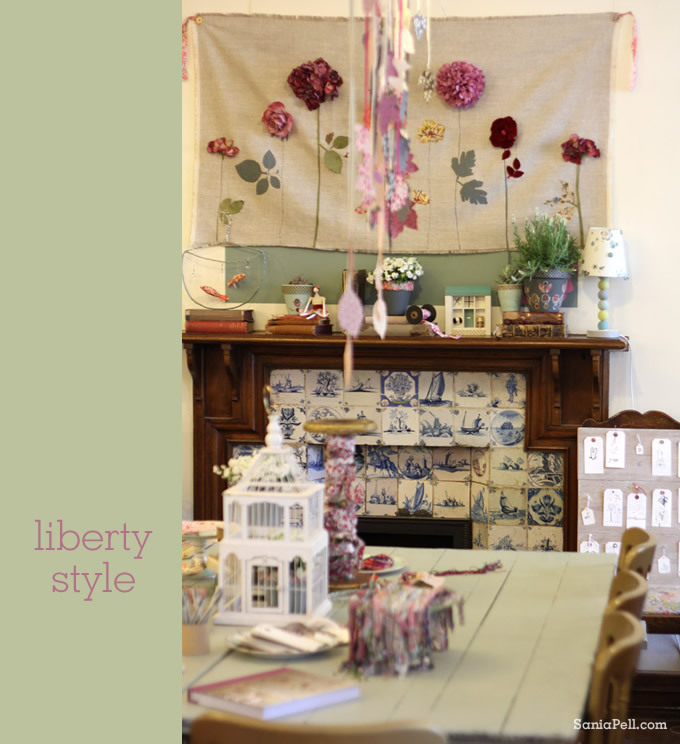 I made a much larger version especially to hang over the tables using more leaves cut from Liberty print fabric. In the centre of the tables was a pile of vintage books – props from the Liberty prop cupboard. 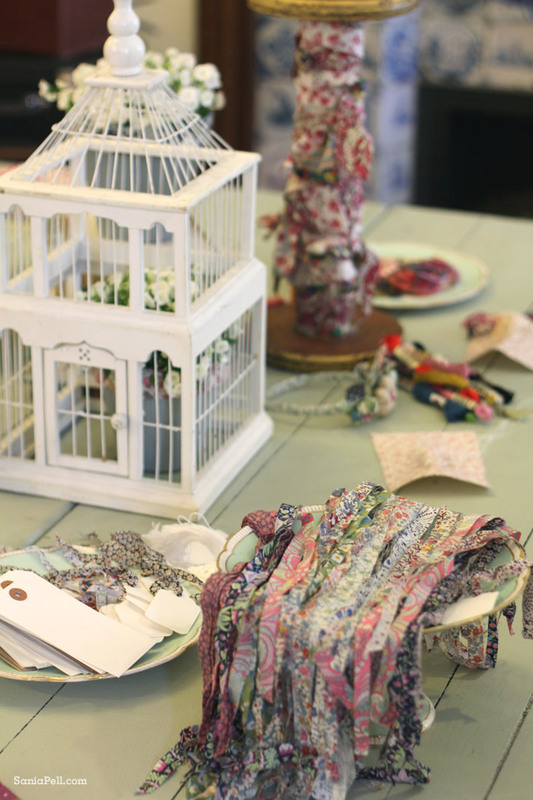 Plant pots were balanced on top , a bird cage and vintage patterned china acted as vessels for the fabric and materials I had prepared for guests to make with. 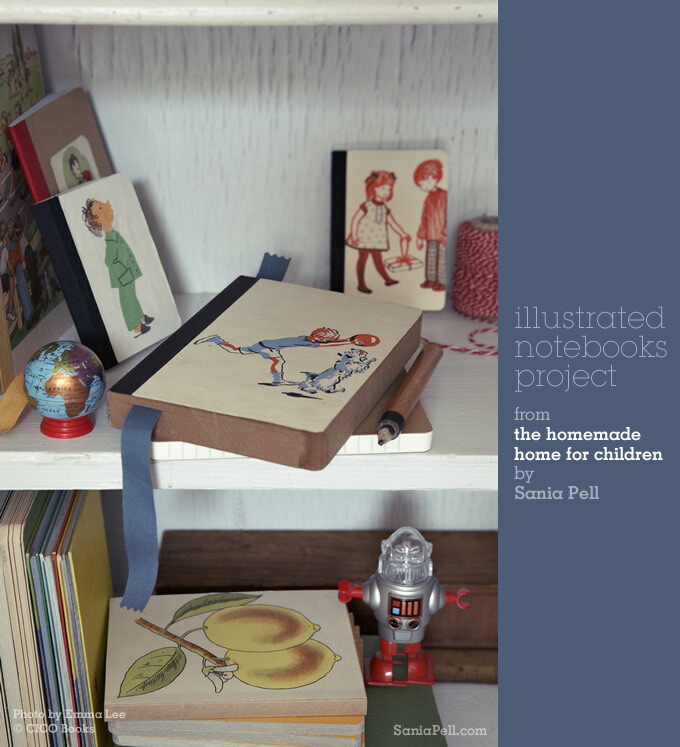 I wanted my guests to be able to join in and make something from the book so that they would have a little gift to take home with them. The Flower Hair Band project seemed an obvious choice as it could also be made into a brooch too. I spent the week before the launch preparing, cutting out the circles (100 in total) that the base of the flower is made from, leaf shapes, flowers for the centres and fabric strips, to save time for my guests. All were a little mismatched but Liberty fabric is perfect for this, it works brilliantly with different patterns jumbled together. So my guests just had to decide which patterns they liked. 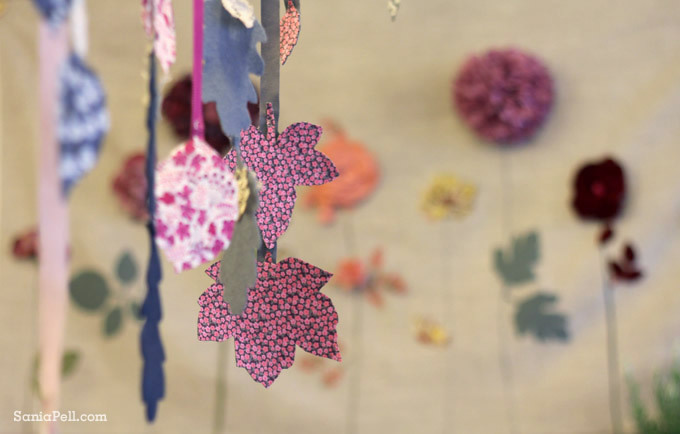 The results were really lovely and I hope people were happy with their little fabric flowers. You can see some the broochs here. 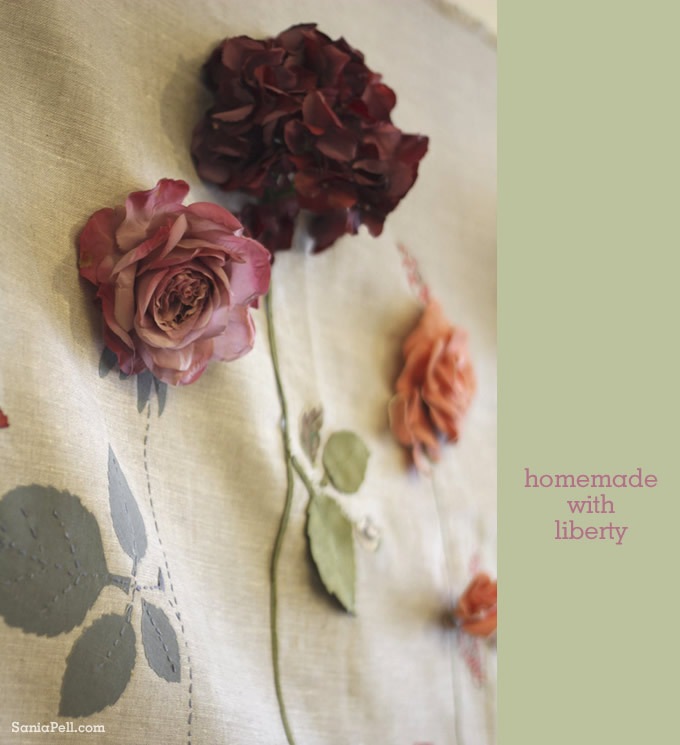 If you would like to have a go at making one you can follow the Liberty video that we made. Another simple project was the Wishing Board project. 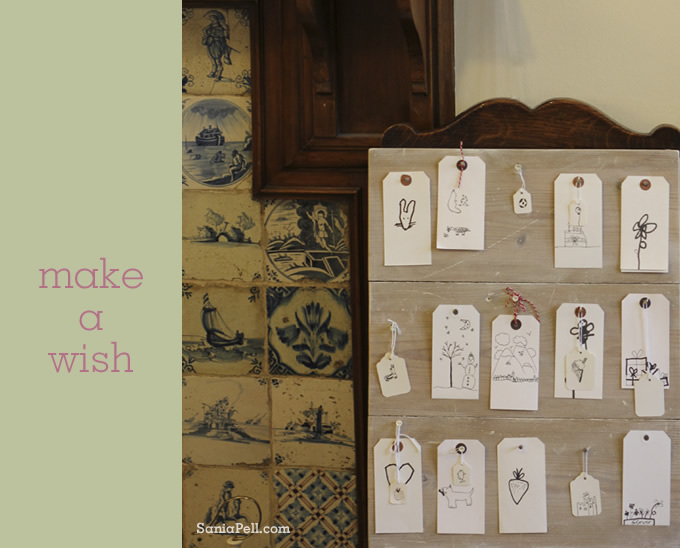 Guests could make a wish by drawing on a card tag and hanging it on the wishing board. 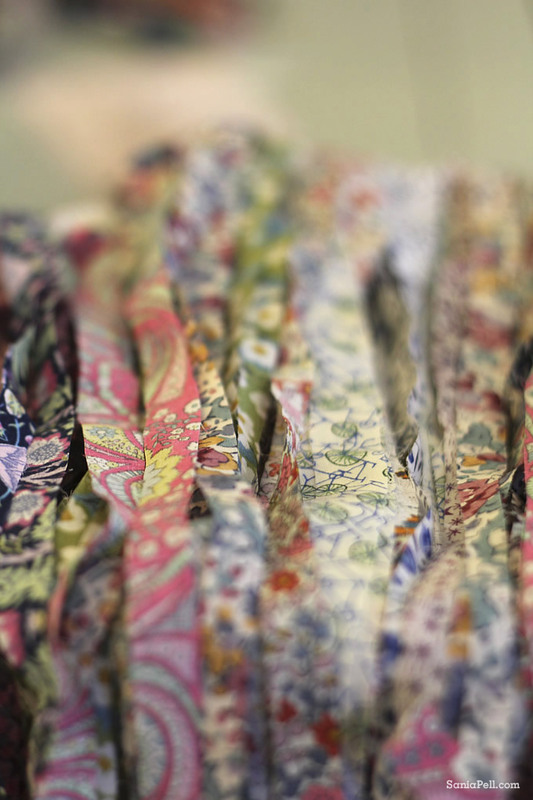 I cut up thin strips of Liberty fabric and had a pile of labels and Muji fibre tip pens with little bits of washi tape wrapped around them. 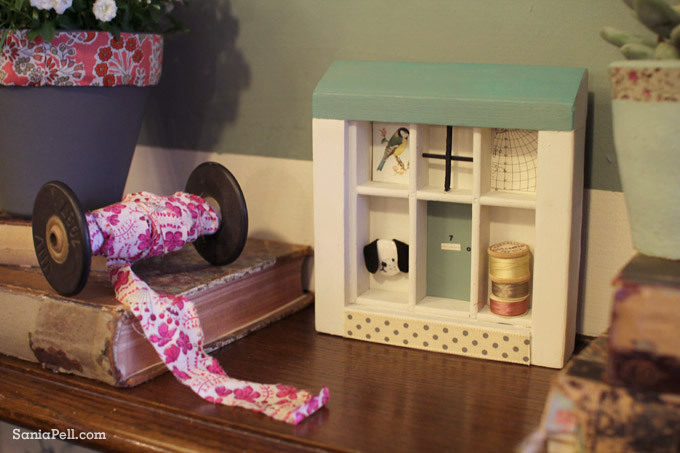 One such tape was a much-loved Merci for Liberty tape. Once the wish had been drawn the tie was threaded through and the drawn wish could be taken home or added to the wish board. I loved that everyone got creative with these and started stitching on them and really making them personal. The full illustrated instructions for each of the projects can be found in the book which is available through CICO Books and at Amazon. The idea behind the wishing board is that it isn’t material things children should wish for, not Playstations or Barbie dolls, but things that can make you happy; a bunch of flowers, a holiday, a pony, even a rocket to the moon. 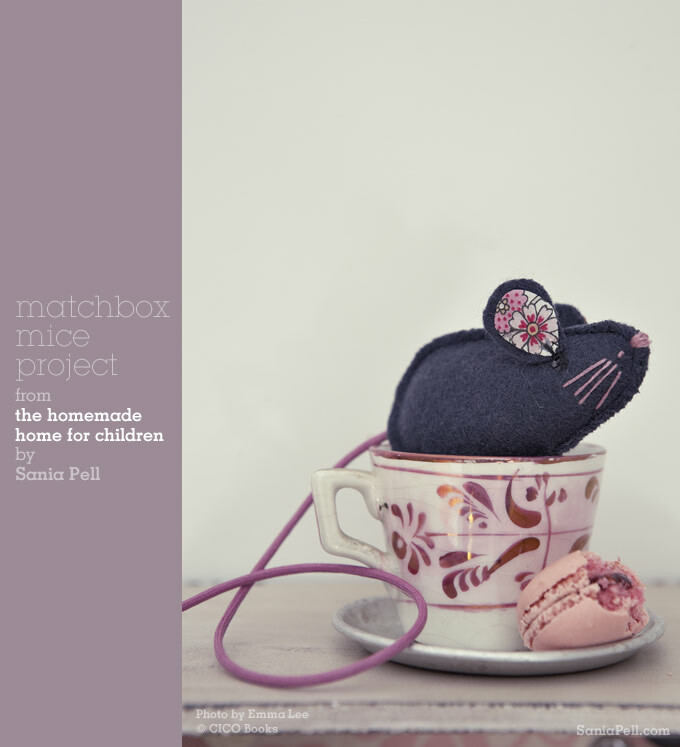 As one of the gorgeous girls who modelled in the book, and came along with her mum, said on her tag “I wish I had a Hamster”. So sweet. I think I had the same wish when I was eight. What a fantastic day my book launch at Liberty was. In fact I would go so far as to say it was one of the highlights of my career so far! I had been preparing for the launch for the fortnight before, cutting fabric, getting materials together and planning it all in the evenings and weekends. It was an early start as everything had to be set up before Liberty opened its doors but thankfully I had the help of my lovely friend Caroline who was invaluable. 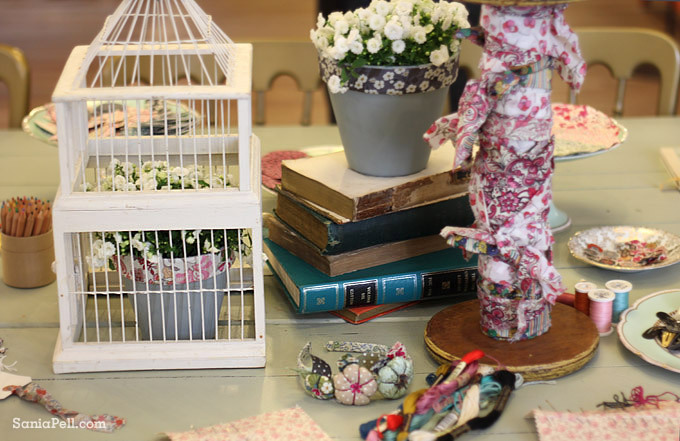 And we also got to raid the Liberty prop cupboard to help style the table! I wanted it to be informal so we had a big craft table that sat about a dozen people and it was filled all afternoon with people making, chatting and laughing and some children joined us after school, including my own, which was lovely, everyone making and drawing together. It was so much fun. 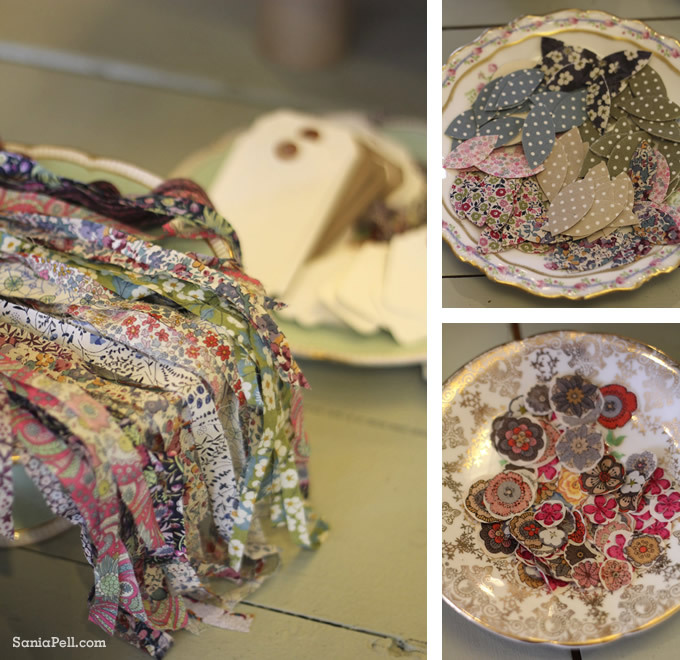 Everyone could have a go at making the flower hairband and hair clip project, and I also brought brooch pins so they could be worn on your clothing, showing how easily it could adapted for grown ups as well as children. Everybody seemed to love them and even guests who considered themselves non-sewers had a go and loved what they made. 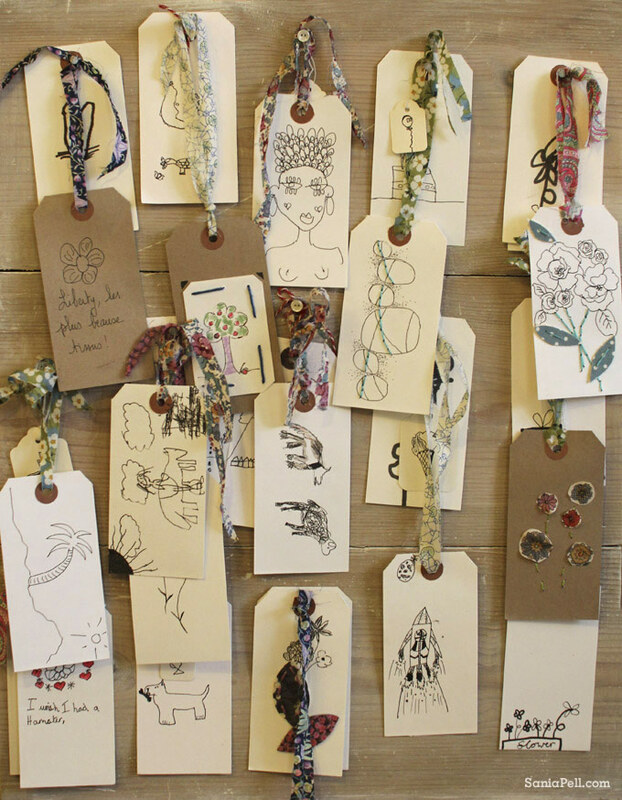 We also had the wish board project there, and guests could make a wish by drawing it on a tag and hanging it on the board with a Liberty fabric tie. There were lots of sweet and fun tags on the board by the end of the day. On the Tuesday before the launch Liberty asked me along to be filmed making the flower hair band project for their blog too which was fun, though I am much happier behind the camera styling than in front of it, so if you couldn’t make it to the launch and want to have a go at making one it’s all in the video, I hope you like it. Liberty also interviewed me and you can read it on the Liberty blog here. We have also uploaded all of the photos my husband took onto the Homemade Home Facebook page, so do have a look and please comment if you see yourself! Don’t forget to hit the ‘Like’ button too if you would like to get the updates there. Or if you came along and took pictures I would love to see them and feel free to post them on the page. I have been very busy since the launch but will be posting again with images of the displays and things we made. Some special thank yous go to all of the Liberty team who were fantastic and helped it go so smoothly. Sonia, Cindy and the CICO Books team for all their support. Caroline, Polly and my husband Mark for all their help and to my mum and dad who brought my children along after school. And a big thank you to all of you who couldn’t make it along or were far away and sent sweet messages. The biggest thank you goes to everyone who came along on the day. I really, really appreciated it and without you it wouldn’t have been the success it was. I do hope you enjoyed it as much as I did!